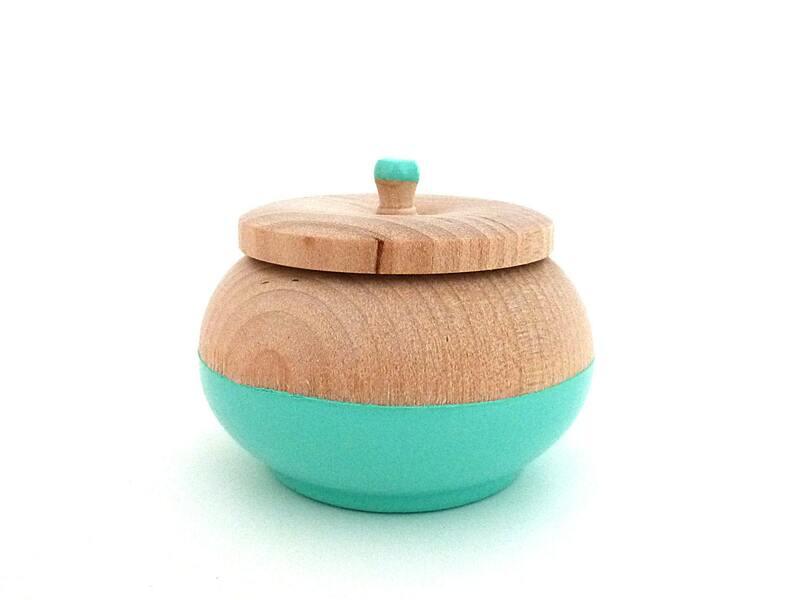 Store your special jewelry in style with this pretty, minimal wood painted box in turquoise. Alongside a ring or a pair of earrings, this would make a beautiful gift for Valentine's Day! Box measures 2 inches tall, 2 1/2 inches wide, 1 1/2 inch diameter opening. Beautifully made. I know where I'm going to do some Christmas shopping this November. Thank you for making beautiful things.